Linoma Software [now HelpSystems] has announced its GoAnywhere suite of secure file transfer products has been certified to work with Microsoft Server 2012. This certification offers customers assurance of enhanced security as well as innovative user interface features and reliability improvements. The GoAnywhere suite is comprised of GoAnywhere Director, GoAnywhere Services and GoAnywhere Gateway. "Our ISV community is alive with innovation, and we're committed to helping our partners drive the next generation of software experiences," said Ross Brown, Vice President of ISV and Solutions Partners for the Worldwide Partner Group at Microsoft. "Adding compatibility for the latest Microsoft technologies helps ISVs to stay ahead of the competition and give their customers access to cutting-edge technologies." GoAnywhere Director performs ETL (Extract, Transfer, and Load) and secure managed file transfer (MFT) functions, while GoAnywhere Services acts as a secure FTP server for trading partners who need to send files to the organization. GoAnywhere Services also includes a secure mail option with Outlook 2010 to send files securely using a unique, encrypted link. GoAnywhere Gateway is a reverse and forward proxy that masks internal network servers and keeps security information out of the DMZ. The NIST-certified FIPS 140-2 module available for both GoAnywhere Director and GoAnywhere Services also ensures that files are secure and encrypted to meet the high-security requirements of the U.S. government. "Linoma Software [now HelpSystems] is excited to certify our GoAnywhere applications on Microsoft Server 2012," said Bob Luebbe, Chief Software Architect at Linoma Software [now HelpSystems]. "Making our application compatible with Microsoft Server 2012 helps us offer our customers compelling benefits, including improved security and reliability features, tools to keep them securely connected to data stored on their networks, and sophisticated management features." 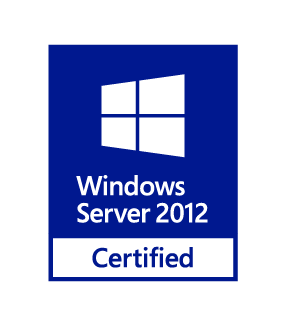 The GoAnywhere suite of applications earned the "Certified for Windows Server 2012" after successfully passing a number of tests in a Windows Server 2012 Hyper-V environment for stability, security and proper operation in a virtualized Windows Server 2012 environment.